From the Watch Face swipe up. Press and Hold the phone symbol. If your phone is locked it not only will give you an acoustic but also a visual signal by letting the LED flashlight blink. people forget many of the “hidden” features built in operating systems. 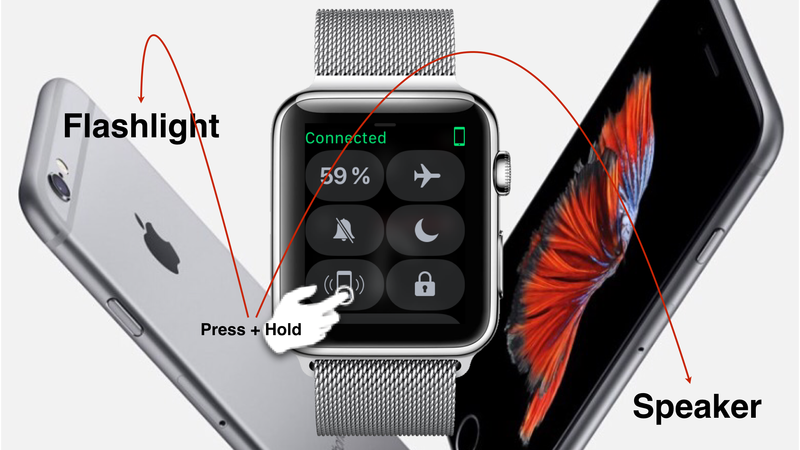 if people use their  Watch to find their iPhone let the LED flashlight always blink (not only when long-pressing the control) and let the screen act like a flashlight when the gyroscope sensor detects that the screen is upturned.